The San Mateo County Fair is Now Open! 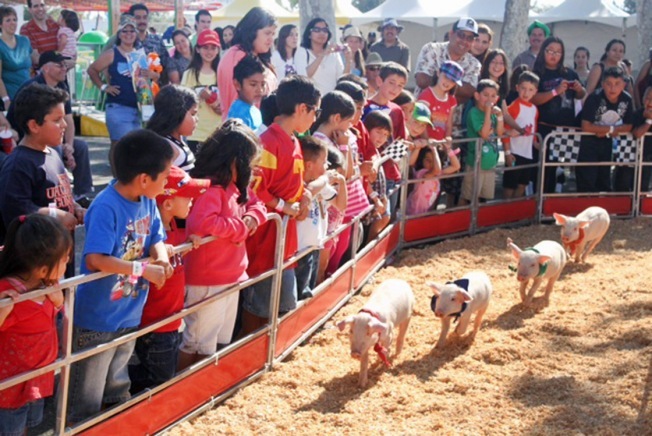 The San Mateo County Fair is the Peninsula's premier community event for Bay Area family fun and entertainment! The 2018 fair runs June 9-17 and strives to provide a diverse experience through education, inspiration and entertainment. The fair represents a celebration of our community's talent, interests, innovations and rich agricultural and artistic heritage. This year's theme is "We Build the Fun." The fair has a ton of family-fun entertainment including the Carnival Midway, Community Stage, All-American Petting Zoo, and don't forget the food! The 2018 concert series will feature big names including Sugar Ray and Pablo Cruise.